Lahaul-Spiti district in Himachal Pradesh is largest district according to area. Lahaul-Spiti is located in North of Himachal Pradesh. 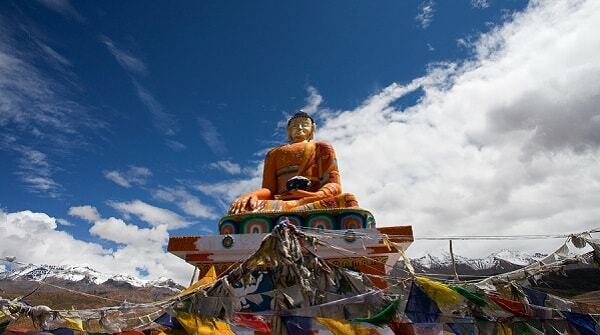 Lahaul-Spiti district is known for its beautiful natural beauty and Tibetans Monesteries. Keylong is headquarter of district and located at a height of around 3165 meter which is highest length of a Headquarter from sea level. Lahaul-Spiti is also coldest district of state, district is divided in two valleys one is Lahaul and other is Spiti. Lahaul Spiti district has highest area in state and lowest population density. Lahaul-Spiti district was established in year 1960. Lahaul-Spiti is combined of Lahaul and Spiti both. Keylong is district headquarter. Before these two were merged together Kadrang was capital of Lahaul, and Dhankar the capital of Spiti. Keylong was declared as headquarter by Marwian mission in year 1853. In 1840-41 Lahaul-Spiti was under administration of Sikhs, whereas in 1846 Britishers became administrator of this district.At the time of independence Lahaul-Spiti was part of Punjab government, in 1960 Keylong was declared as district headquarter by Punjab government, and Spiti was declared as Tehsil and Kaza was declared as headquarter of Spiti. In year 1966 Lahaul Spiti was merged in Himachal Pradesh and became biggest district of Himachal Pradesh. Lahaul-Spiti district share boundary with Kashmir in North direction with big mountains , in south with Kullu and Bada Bhangal, with Chamba district in West direction. Lahaul and Spiti can be described in different ways given below. Lahaul - Lahaul is known High peaks and valleys. Lahaul can be divided in five main area blocks given below. 1. Chandra valley- This valley is also known as Rangoli. Almost 72 km of this area is covered with long peaks , mountains and snow covered area. 2. Bhaga Valley - This valley starts from Baralaacha pass in south west. 3. Patan Valley - Chandra and Bhaga rivers meet at a point known as Patan valley. This is most fertilise land. 4. Madhya Valley - This valley is mostly covered with snow , sometimes for 12 months. 5. Lingti Valley - 260 square km long area towards north of Baralaacha pass is called as Lingti ground . There is no population in this area. Spiti - Spiti valley is covered with high peaks and mountains and some of them are at height of around 3300 meters to 5500 metres from sea level. Most of peaks of Spiti valley are covered with snow. Weather in Lahaul-Spiti is very pleasant in summer , but in winters temperature drops and reaches to minus. Average snow is around 7 feet, which clearly signifies that most of the area of district is covered with snow. - Tehsils - Lahaul, Spiti. In this district marriages are on culture of Buddhism. Two popular way of marriages are Ta-Bhagstan and Kumai-Bhagstan. Dress - In this area warm clothes are weared and long coats, Pajama, Green and Yellow basket, Cap are weared. Languages - In Lahaul-Spiti some lanagues like Bhoti, Bunam, Tinan , Manchaat etc are spoken. 1. Keylong - Keylong is located at a height of around 3156 meters. This is also headquarter of Lahaul-Spiti district. In 1861 Marwian mission opened a primary school in keylong. 2. Taabo - This village is located in Kaza , headquarter of Spiti. This village is located at a height of around 3050 m.
3. Rohtang pass - Rohtang pass is entry of Lahaul-Spiti from Kullu Manali. This is called as last place in world for people . Lahaul-Spiti is biggest district in Himachal Pradesh according to area. Lahaul-Spiti has minimum population density. 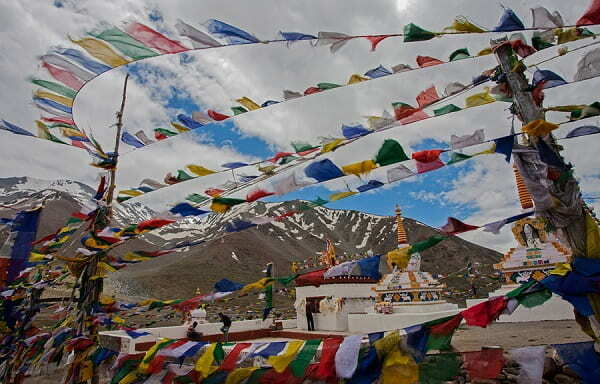 Keylong is headquarter of Lahaul and Kaza of Spiti. More than 90% area is covered with forest. Most of the area of the district is covered with snow. 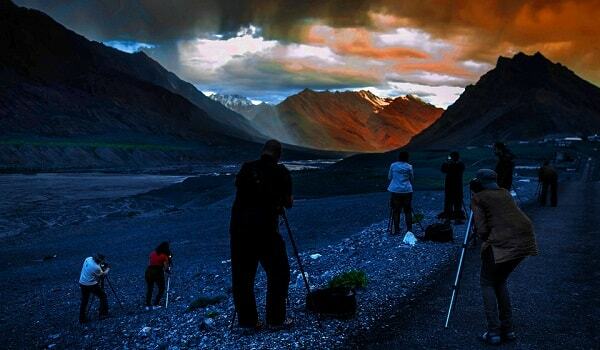 Pin Valley in Spiti is National park in district. Kibber in Spiti is wild life sanctuary in district. Kibber has telephone exchange located at most height in world. Gete and Kibber are located at most height in world.